Surprise I made a dress and I’m even blogging about it! When I saw the first challenge for Indie Pattern month over at The Monthly Stitch I was inclined to pass it by since I rarely wear dresses. Indie Pattern Month looks so fun though and I did have some dress patterns in the stash that could be put to use…. 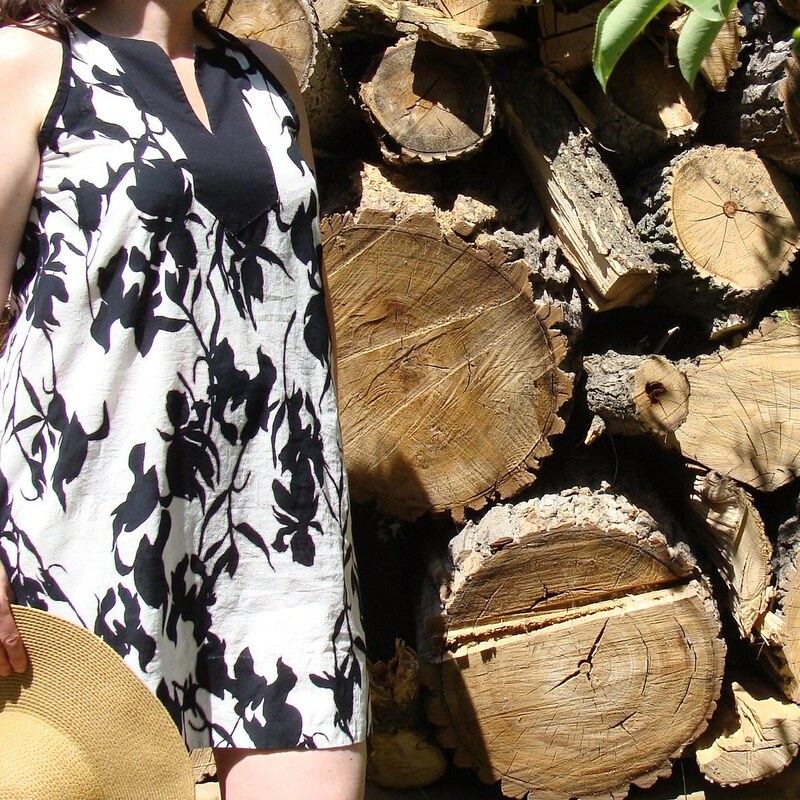 To check out my rambling on this pretty Colfax Dress (pattern by True Bias) and all the other glorious Indie Pattern Month creations you should pop over and check out The Monthly Stitch! I cut a straight size 12 with no adjustments. The pattern is designed for a C cup and a height of 5’5″. I’m a D cup and only 5’2″ but I figured I’d be able to sneak by with no adjustments jsut tweeking it as I sewed. After sewing the shoulders together I tossed it over my head, pinned sides together and decided I should shorten the straps by another 1/2″ since the armholes were quite deep on me. As of late I’ve found that shortening most patterns by 1/2″ above the bust is helpful in getting a nicer fit, so this would be a normal adjustment for me. I’m quite happy with the fit in the end. I can tell that a FBA next time would be beneficial and I find the pockets rather low which would be remedied if I had shortened for my height at the lengthen/shorten lines. I like the overall length though, so if I shorten above the pockets I’d want to add length below the pockets to compensate. I paired the Colfax Pattern with some lovely and unique jacquard cotton lawn that I purchased from my favorite online store Blackbird Fabrics. 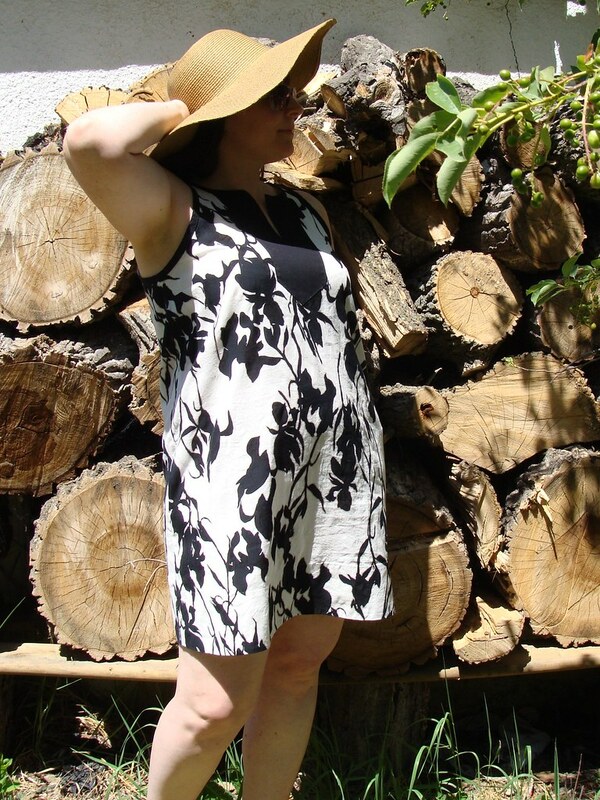 The fabric is not totally opaque but I left un-lined intending to use as a swim coverup or over tights/leggings (I seriously dislike my legs touching in hot summer weather…ugh!). It’s lightweight and floaty, perfect to wear over my swimsuit for modesty while still being cool! I’m very proud of the inside of my Colfax. Some uncharacteristic hand sewing on my hem and I used a new (to me) technique with a tutorial from In the Folds for sewing in-seam pockets with french seams! Patience was definitely required since I had a sewing fail that you can read about in my Monthly Stitch post. 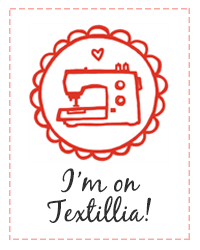 Oooh…and a pretty tag proclaiming that I made it! There is actually a really excellent sewalong on the designers blog, although it is a little tricky to find since it doesn’t show up in the Sewalong dropdown in her blog menu. 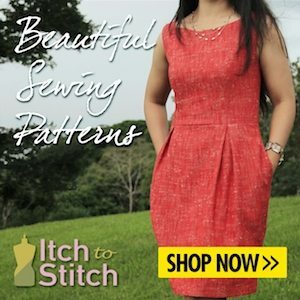 It show pattern adjustments and talks about fabric selection as well as having step by step photos for constructing the pattern. You can find it here or by searching “Colfax Sewalong” on the True Bias blog but even the intro post doesn’t link to each sequential sewalong posts. From what I can tell it seems you have to just scroll to the end then go backwards through them. If there is a easier way that I’m missing please let me know! The base cost of the pattern is $12 USD at True Bias Patterns. Size 12 chosen based on my measurements. I fell between sizes 12 and 14 on the size chart and chose to go with the smaller size. I shortened the straps by 1/2″ as I was sewing since the armholes seemed big/low on me. 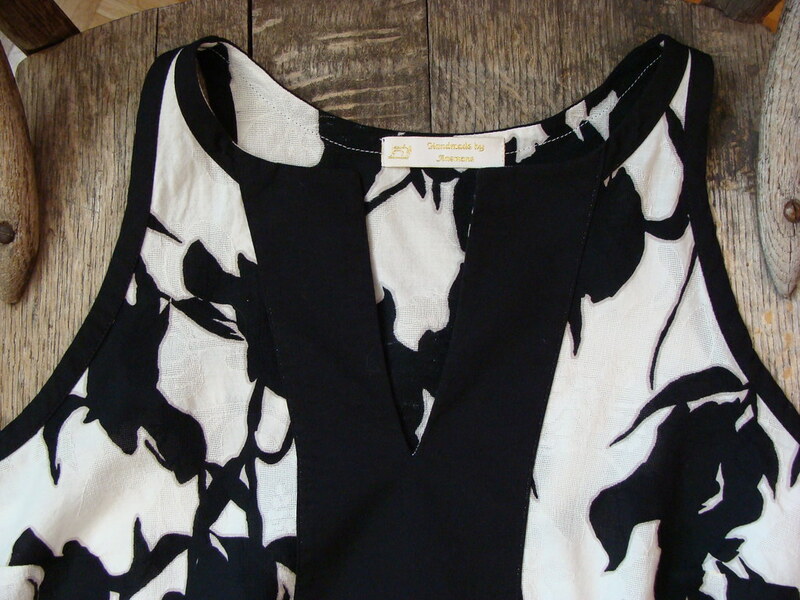 A 1/2″ shortening above the bust is a standard fit adjustment for me which I’ve found helpful on many patterns. 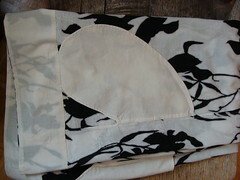 Did french seams using this tutorial on In the Folds for sewing in-seam pockets with french seams. Hand stitched the hem for an invisible finish on my delicate fabric. Love the fit! The shoulders/neckline fit is fantastic and it has such a flattering shape. If I make all my “normal” FBA and height adjustments next time that is really all that’s needed for it to be perfect. Wow! Very beautifully drafted and the pretty yoke and bound neck/armholes came together clean and easy using the directions in the pattern. Perfect amount of notches/markings made it very easy to get everything perfectly aligned. Existing sewalong was not easy to find. 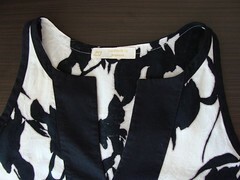 The directions did not include understitching seam allowances for the neck binding or hem facing. Understitching makes everything roll under so much easier. I thing it would have been a helpful step to add for beginners get a nicer/more professional finish. I perhaps just have a love affair going with on understitching though…it’s my favourite, haha! Awesome pattern! I’m really a fan of True Bias patterns – I’ve made a couple previously (unblogged…oops) and they have been consistently great. While I don’t often wear dresses I see more “Colfax Tunics” in my future. The drafting on the Colfax was perfect and the fit is fabulous. Despite my nitpickiness the instructions are fantastic and there is a detailed sewalong even if it’s a bit tricky to find. Instructions/sewalong covered all those good things I like to see: fabric selection, common adjustments, staystitching, trimming seam allowance, etc. Difficulty rating of “Advanced Beginner” seemed accurate as did the materials stated. I squeaked mine out of 1.25m (compared to the 2.1 of 54″ fabric called for) but that took some finagling which I did only because I had just 1.5m of the jacquard lawn. Shorten at the lengthen/shorten lines by approx 1.5″ to raise the pockets adding the 1.5″ back below the pockets if intending to wear as a dress. Do a small FBA of approximately 1/2″. 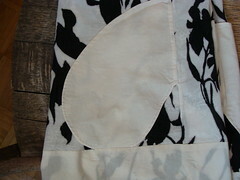 A 1/2″ pinch (1″ total) at armhole in this version corrects gaping at armhole and improves how the sides fall. More picture because, hey, aren’t blog posts really just about seeing ALL THE PICTURES!!! Very nice! This pattern has always appealed to me, though like you I’m not a fan of dresses in the summer. 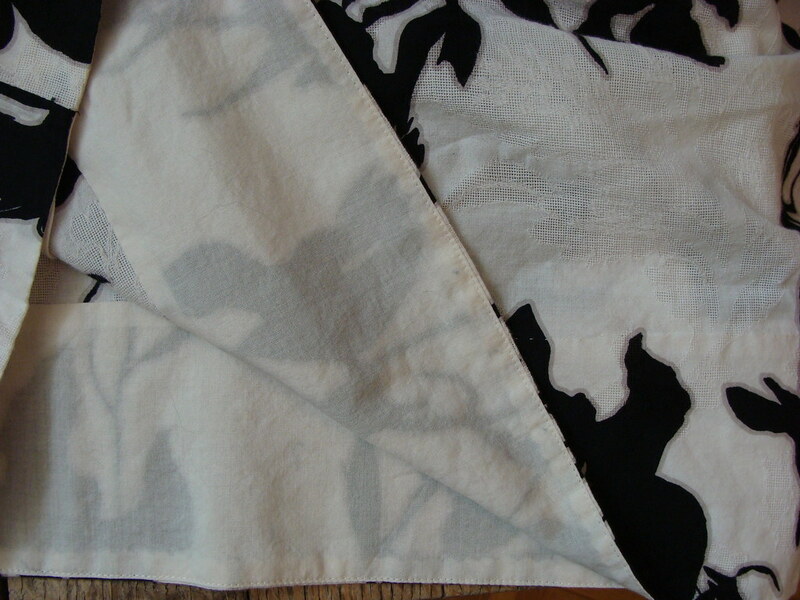 If the right fabric comes along, I may consider it again! I love dresses with pockets! So convenient! It’s great, very glad I kept the pockets!